Show off your love for Walking Dead with this Walker Head Pin! Based off the long-running series, this 1-inch pin comes with raised edges and a rubber clutch for security. 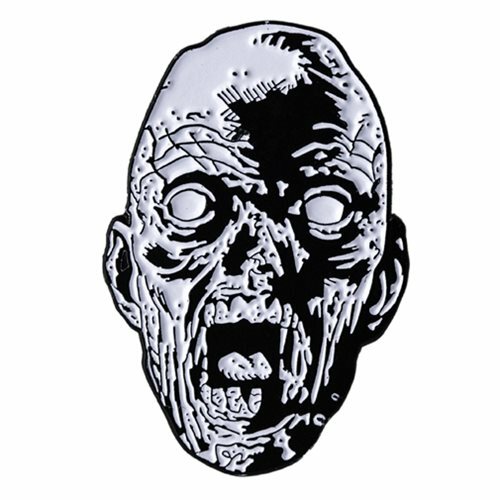 Made from soft-enamel, The Walking Dead Walker Head Pin comes packaged on small card back. Ages 14 and up.